The new Miss Finland is 23 year old Shirly Karvinen. She stands 1.7m tall and will represent Finland at the 65th Miss Universe Pageant later this year. The first runner-up and Finland's delegate at Miss World 2016 is Heta Sallinen. She is 21 years old and stands 1.71m tall. 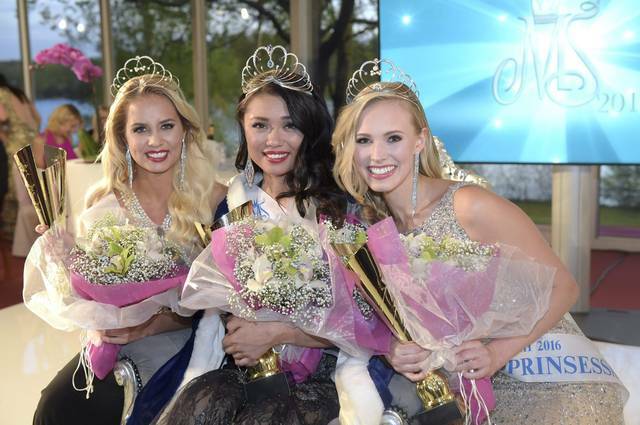 22 year old Emilia Seppanen was named the second runner-up. She stands 1.76m tall and will represent Finland at Miss International 2016. The winner is a disappointment for me. I don't see Finland placing at Miss Universe. The runners-up might do well in their respective pageants.